How much is Bert Kreischer Worth? Bert Kreischer Net worth: Bert Kreischer is an American stand-up comedian, actor and reality television host who has a net worth of $3 million. Dubbed as "The Machine", he has never aspired or dreamed of becoming a comedian. But as fate would have it comedy found him and thus became one of the most popular comics today. Born Albert Kreischer on November 3, 1973 in Tampa Florida, he enrolled at Florida State University where he became a member of the Alpha Tau Omega and remained six years on the campus. 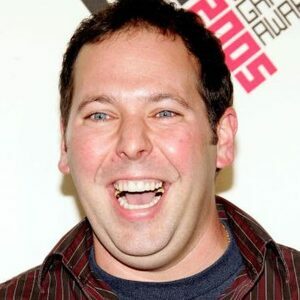 It was in 1997 that Rolling Stone Magazine went to the number one party school in the country and "discovered" the man-child, Bert Kreischer. Actually, he was featured in the mag as the "number one partier in the nation". Silly as it may sound but the article opened opportunities for him. In 1998, he was already working as a stand-up comedian at the Boston Comedy Club. He was then offered a television deal from Overbrook Entertainment, a production company partly owned by Will Smith. In 1999, he was co-hosting FX's "The X-Show", which he had a segment called "Hurt Bert" that later developed into his own show with the same title. As for his acting debut, he made it in the CBS/20th Century Fox pilot, "Life with David J". Later on, he starred in such television shows as VH1's "Never Mind the Buzz!$#!#s", Comedy Central's "Shorties Watching Shorties", NBC's "Last Comic Standing", and FX's "The Shield". He performed part of his stand-up routine on Comedy Central's Premium Blend, participated in the reality show, "Reality Bites Back", and hosted Spike TV's "Fresh Baked Video Game". He also had guest appearances on "Jimmy Kimmel Live", "Late Show with David Letterman" and "The Rachael Ray Show". In 2009, Kreischer had his stand-up comedy special on Comedy Central entitled, "Bert Kreischer: Comfortably Dumb". In 2010, he became the host of the reality show, "Bert the Conqueror", discovering local traditions, thrills and competitions for Travel Channel. If he is not on trips, viewers can find him touring comedy clubs and colleges throughout the United States making people laugh.